Here is a quick way to evaluate dysfunction a families in any culture on any holiday. You look at family interaction. · Compatible vs conflictual: Do family members easily come to an agreement over care issues, or do they argue constantly, even over relatively unimportant issues? Do old conflicts between siblings or between adult child and parent resurface during the crisis period? 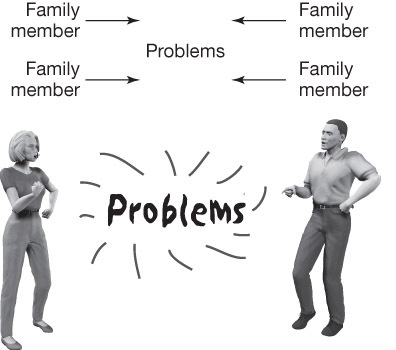 · Cohesive vs. fragmented: Does the family present as a unit, or do they contact the GCM individually with their problems? Do family members ask the GCM to keep conversations secret from other family members? 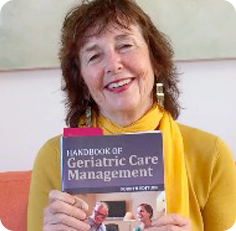 · Productive vs. nonproductive: Can the family respond to the GCM’s suggestions and take necessary action to create change in the older adult’s life? Are there individual family members who are unable to mobilize and feel powerless to act? · Fragile vs stable: Has the family been stable over time? Is there a history of emotional cut-offs or distance on the part of one or more family members? Is there a pattern of divorce, remarriage, or other disruptions in relationships that changes the balance within the family system? · Rigid vs flexible: How has the family handled previous crises? Did the members accept the need to change roles in those times? Are members able to exchange or share important roles in managing family affairs? If one member is unavailable to provide care, can other members assume the caregiving role? Do family members respond readily to crises? · If you find at least two of these interactions in an aging family, you are working with a dysfunctional family- on the worst month of the year.